Some local systems have long used ballots in English and Spanish in May budget and board votes. The rise comes after the Eastern District U.S. attorney's office surveyed districts about election practices. 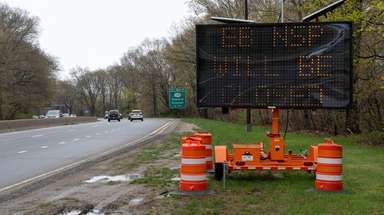 For the first time, most of Long Island's 124 public school districts plan to provide ballots in both English and Spanish for the May budget and board vote, a response to demographic shifts and legal pressures, regional education leaders and their attorneys said. One of the Island's biggest law firms, Hauppauge-based Ingerman Smith, confirmed last week that it has advised clients that Spanish-language translations of ballots and other voting materials are required by federal law and should be used in school elections May 21. Syntax, the public relations firm for 61 local districts across the region, reported that 52 of its client systems that responded to a survey had all committed to providing versions in English and Spanish. Bilingual ballots have been used for years in federal, state and county elections. Until now, most school districts have used only English forms on the assumption that federal rules covering other jurisdictions did not apply to them. School administrators and lawyers said in interviews that the U.S. attorney's office for the Eastern District of New York, which includes Long Island, sent survey forms to districts last year asking about elections practices. The forms also indicated that districts were required to comply with Section 203 of the U.S. Voting Rights Act, they said. 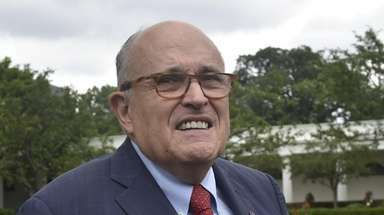 John Marzulli, a spokesman for the U.S. attorney's office, declined to comment. Section 203 requires language assistance during elections in states or counties where more than 5 percent of voters, or a total of more than 10,000 citizens, are members of a language group with limited English. Section 203 applies to Spanish-speaking residents in both Nassau and Suffolk. Under federal regulations, the language requirements also apply to political units within counties, such as school districts. Irma Solis of Central Islip, who represents the New York Civil Liberties Union in Suffolk County, said the importance of bilingual ballots on the Island has risen as the region's Latino population has grown to more than a half-million, according to the latest U.S. Census data. "One has to afford those with a right to vote the opportunity to do so," Solis said. 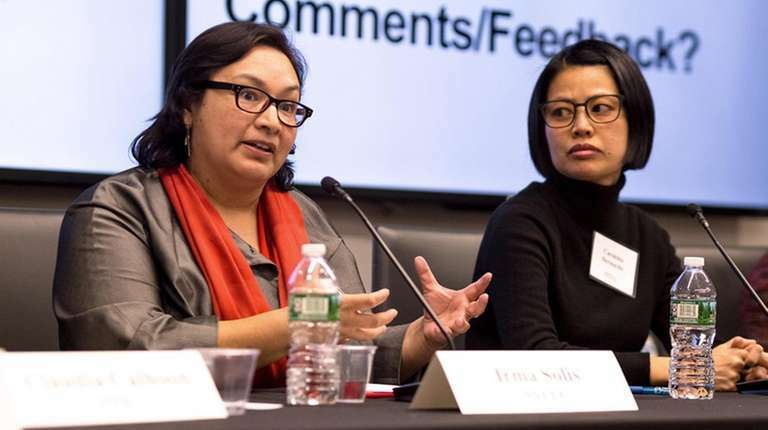 Local school officials, while acknowledging the need for language accommodations on school budgets — presupuestos escolares in Spanish — questioned the cost of the translation services. Those include the expense of bilingual budget brochures, which are mailed out to residents in advance of voting, as well as ballot translations and help from Spanish-speaking interpreters at polling places. Elections involve a great deal of paperwork, not only ballots and brochures, but also directory signs at polling places, legal notices, registration forms and the like, all of which need to be translated into Spanish under the new ground rules. Much of the translation work is provided to local districts by regional agencies including Eastern Suffolk BOCES, which said it will be charging $60 per page. School authorities also noted that languages other than Spanish — Korean, Mandarin and Urdu, for example — are spoken by sizable ethnic groups in many of the Island's communities. Spanish, however, is the only language other than English that is required in elections in the Nassau-Suffolk region. 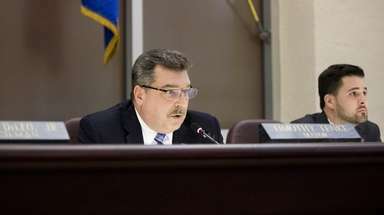 David Flatley, superintendent of Carle Place schools, said the district will have bilingual ballots in May on the advice of its attorneys, and that he expects most of the 56 school systems in Nassau to do the same. 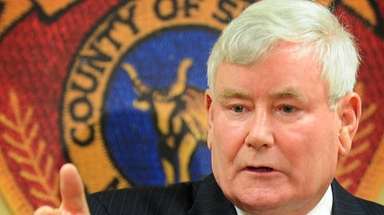 Flatley is immediate past president of the Nassau County Council of School Superintendents. Flatley said he agreed with the intent of federal law to provide needed help to citizens who face language barriers. But he questioned whether that would be accomplished by the statute, based as it is on countywide data. That approach, he said, overlooks the complexities of diverse suburbs where Spanish is the language most commonly spoken by ethnic minorities in some school districts, while other languages are more commonly used by ethnic groups in districts elsewhere in a county. 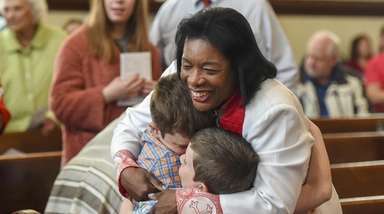 "It just seems that selecting one language is painting a county with a pretty broad brush," the schools chief added. "Why not Portuguese?" 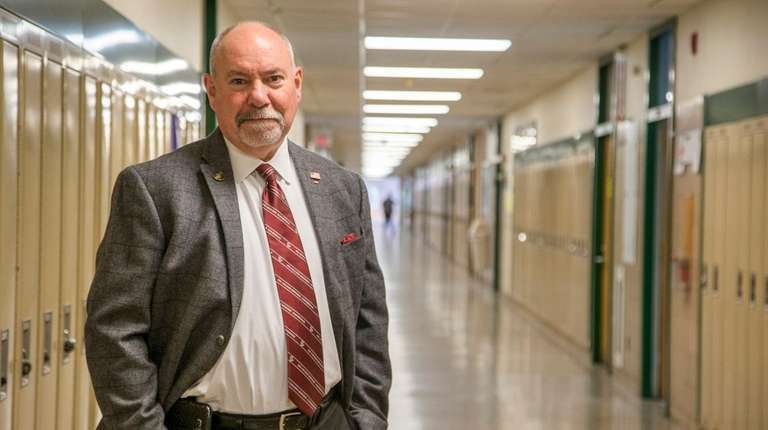 Kenneth Bossert, superintendent in the Elwood district and president of the Suffolk County School Superintendents Association, said the 68 school systems in his county are responding to the same legal advice. He agreed with other education leaders that costs of ballot translations and related services are an issue, particularly at a time when districts' spending is restricted by state tax caps. "It's a big new challenge," Bossert said. Perry Grossman, a senior staff attorney for the voting rights project of the New York Civil Liberties Union in Manhattan, said he recently pressed federal authorities on the issue of school ballots and was gratified to hear that action was being taken. He noted laws do not prohibit districts on the Island from providing help in languages other than Spanish and English, but simply require ballots and other materials and services in those two languages. 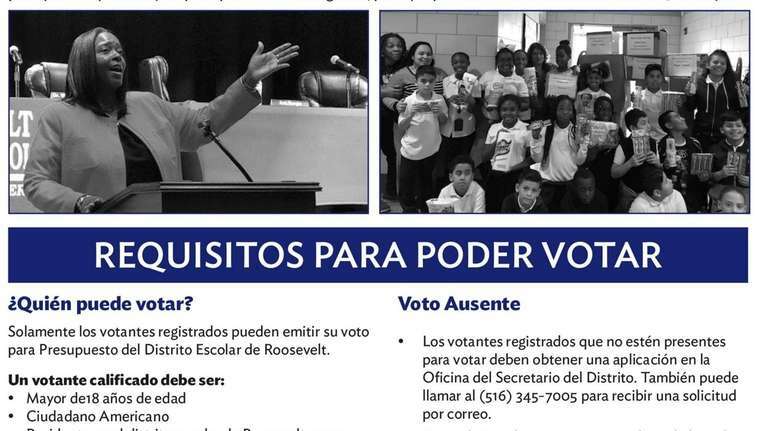 The Roosevelt district has provided bilingual voting materials for years, and will add interpreters at polling places this spring, administrators said. "It's now on everyone's radar," Superintendent Marnie Hazelton said.